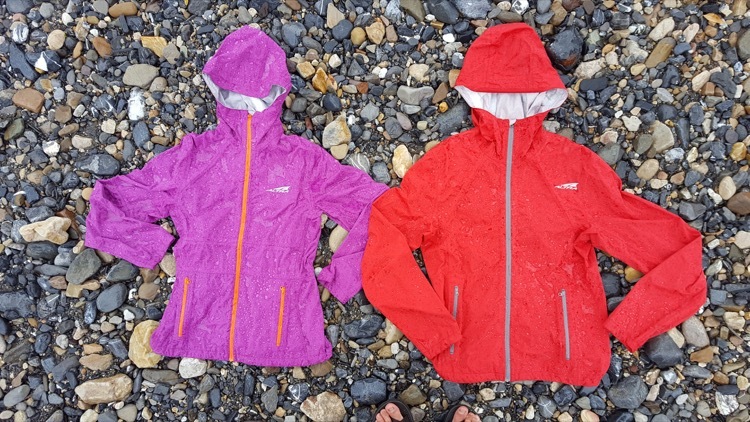 Basic summary: Altra’s entry in the waterproof/breathable jacket category, the Wasatch is a lightweight shell that combines soft interior lining with a strong weatherproof exterior and mild stretch capacity for full range of motion. A generous hood provides full coverage and cinch cord adjustability, and cords at the cuffs and hemline help secure the fit and retain heat when necessary. 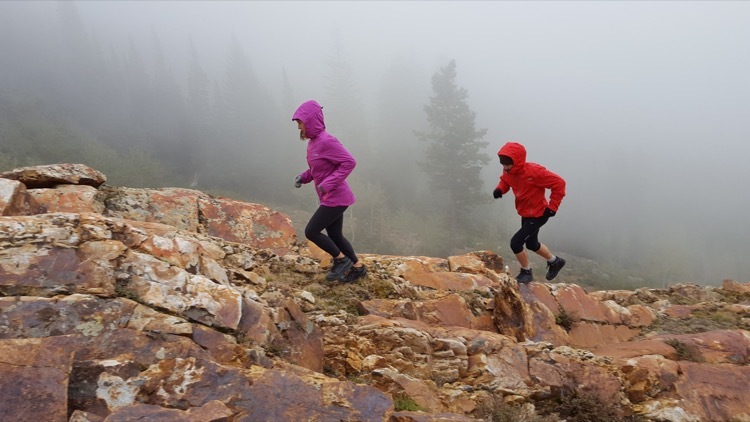 Altra’s Wasatch jacket is a showcase for its new ZeroH2O fabric, a waterproof and breathable material that has four-way stretch capacity to move comfortably with your body. 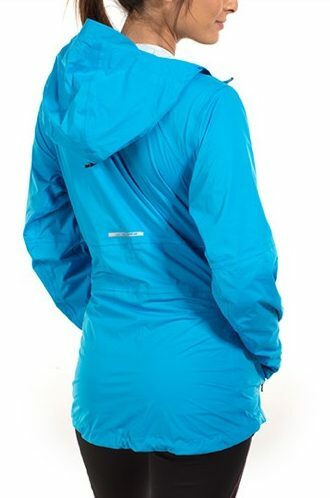 This isn’t the lightest rain jacket you will find, but the water resistance is very impressive, as the fabric sheds water easily, and welded seams and sealed zippers prevent seepage over a long period of time. It’s also a very comfortable jacket to wear, with a soft interior that doesn’t have quite the degree of stickiness or plasticky feel of other fully waterproof fabrics. The Wasatch is semi-fitted through the torso for a slim profile, but thanks to the stretch fabric, range of motion isn’t a problem. The women’s version is “feminine cut,” meaning a bit more contoured through the midsection than the men’s style. Thumb loops at the cuffs are a clever means of not only keeping the sleeves fully extended, but in cinching down the closure at the wrist. A drop hemline in the rear along with an interior cinch cord help provide full torso coverage with maximum heat retention in cold conditions. 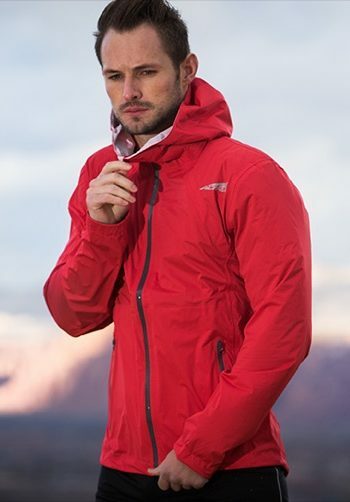 Like most waterproof jackets, the Wasatch tends to run on the warm side, but breathability is enhanced by vent holes under the arms to add a bit of additional ventilation. The hood of the Wasatch is generously sized, and seems intended for layering over the top of a trucker hat or stocking hat, because the bill is fairly prominent and the side panels are quite deep. The rear cinch cord fastener is easily adjustable and helps prevent impairments to your field of vision if you’re wearing the hood by itself. 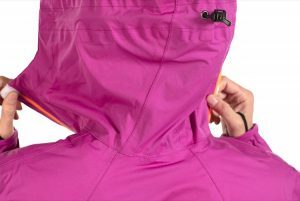 When fully zipped, the collar hits just above chin level, and the flaps are fairly large when unzipped, which can be a bit of an annoyance in windy conditions. 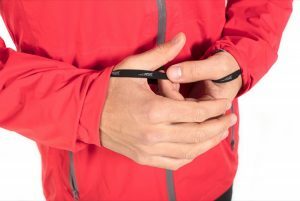 Dual hand pockets provide some protected storage on the go, and when not in use, the Wasatch jacket can be compressed into one of the hand pockets, although there is no double-sided zipper closure to secure it. Altra’s Wasatch jacket is available in both men’s and women’s styles at www.altrarunning.com.